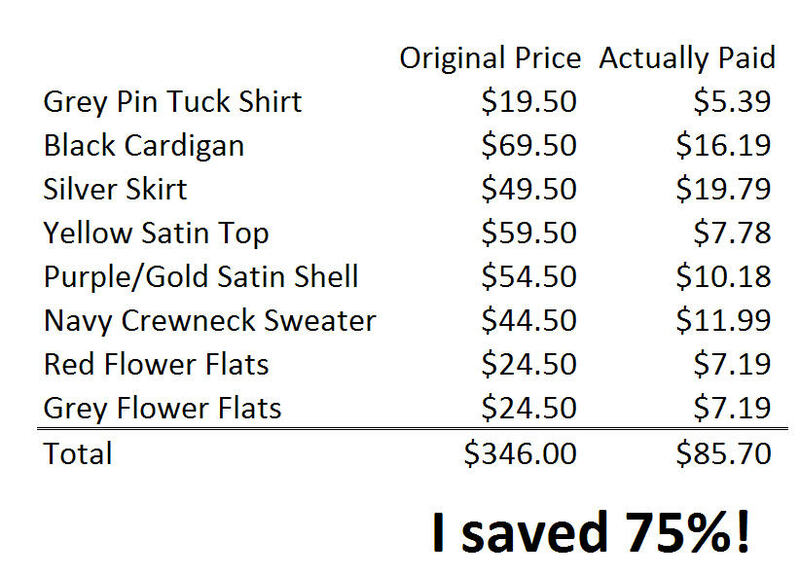 Liz Did It: I Robbed The Gap! 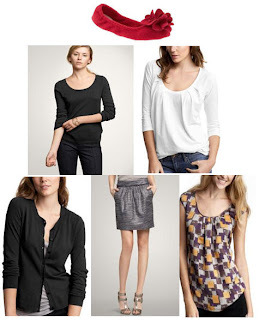 Growing up, one of my mom’s favorite activities was taking us to the Gap when they were having a major sale. We would clean out their clearance section then go home and huddle around the kitchen table with our shopping bags and a calculator. 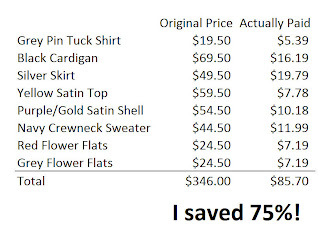 We would carefully peel back the sale stickers until we could see the original prices, and add up what we would have spent at full retail vs. what we actually paid. This was the only time I ever showed even a modest interest in math. Last night the nostalgia flowed back as I did this again. I had time to kill before a movie, and the Gap had a sign out front that all clearance was 40% off! I didn’t have a ton of time, but I did my best impression of Supermarket Sweep and snatched up the best stuff I could find including the ballet flats that I wanted before Christmas. Two pairs in fact. Worth the wait!